We provide comprehensive safety reviews of machinery, heavy industrial and construction machinery, helping to reduce the risks due to human error associated with electrical, mechanical, hydraulic and control systems. We verify compliance with electrical codes (NEC) Fire codes (NFPA), Federal regulations (OSHA), American National standards (ANSI), and International standards (ISO). We provide these services to equipment manufacturers, owner/operators, and insurance companies. Our assessments verify that the Operating Manuals include Safety Instructions that are easily understood by operators. We verify that the Maintenance and Repair Manuals include enough safety precautions to cover potential hazards. We conduct our independent reviews of machinery and heavy equipment focused on meeting or exceeding current safety standards and practices. Comprehensive and easily understood documentation of machinery safety features helps to minimize product liability claims. Our assessments are conducted by professional engineers and technicians with extensive experience in machinery control systems, electrical, hydraulic components, exhaust system hazards, pinch-point issues, etc. We study the equipment design and construction, conduct a thorough inspection, operate the equipment, and make a systematic evaluation of its conformance to government and industry standards. 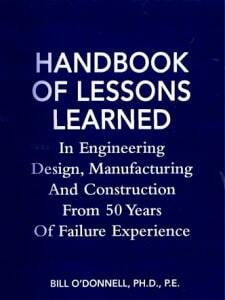 This includes a review of the safety exposure of personnel during operations and standby mode conditions. 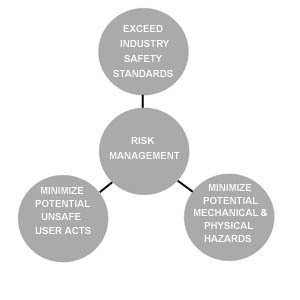 Typical aspects of a Safety Culture. Can’t find what you’re looking for? – try our Search Tool at the top of the Page. For a comprehensive list of components we have worked on, see Industries Served. Resume summaries of our engineers are described in Our Team.